Ohlala! Same Alliance Francaise d’Atlanta-Roswell (AFA-Roswell), better location? Je dis oui! Your French connection has officially moved and has started offering languages classes in its new location. Vraiment? AFA-Roswell has found just the perfect place to call home, we could not be plus excited. The Alliance Francaise promotes and develops French language in the US and in 133 countries throughout the world. 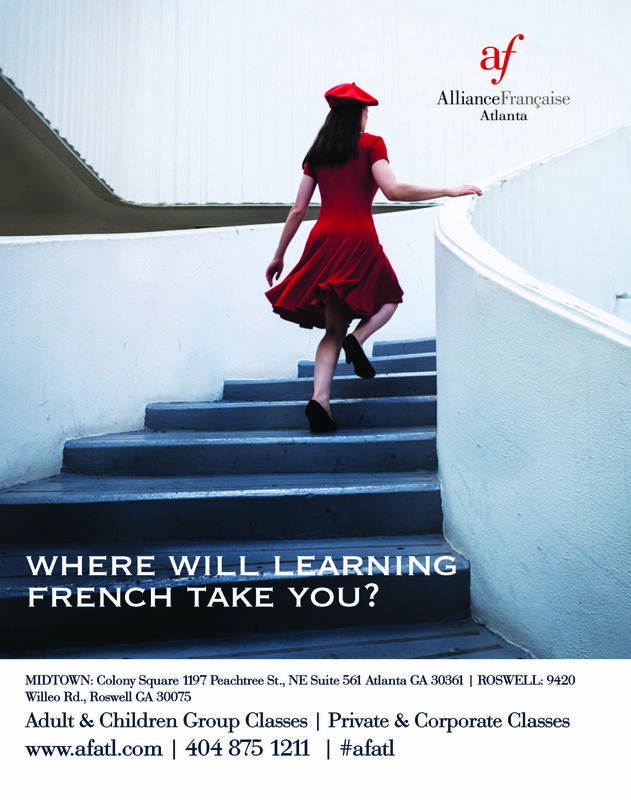 A member supported non-profit organization, AFA is the French-American cultural center serving the Atlanta community as the premier provider of French language and culture since 1912. Parlez-vous français? Non? Not a problem. AFA-Roswell offers a variety of courses for all ages and levels (group, private or corporate classes), including classes for 1 to 2 year olds in our Bébé Alliance program. Mais oui ! Teenagers can gather at Club Ado on Friday nights or join us for one of our teen movie nights. AFA-Roswell also hosts social events like Dîner en Français, wine and cheese tastings, exhibits, lectures and family events. Incroyable! Like to travel? Pack your bags and let AFA take you on fabulous trips to France and francophone countries with the Club Med. Bon voyage!